The University’s plan to empower its officers would allow them to response to off-campus incidents. Updated Aug. 29 at 4:18 p.m.
Georgetown University and D.C. Council chairman Phil Mendelson have voiced early support for a GW-backed plan that would be proposed by a consortium of D.C. universities. 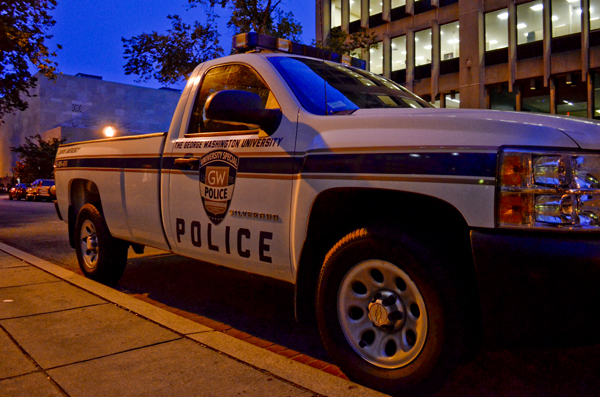 GW hopes the tentative plan will reach the Council this fall, allowing University police officers to respond to some incidents of student misconduct off campus. The University is pushing the legislation after admitting last spring that it had spent years operating outside its jurisdiction. But groups such as the American Civil Liberties Union and Student Press Law Center are paying attention to the policies, which expand the power of campus police but do not hold them to the same transparency standards as city law enforcement. UPD can enforce, arrest and carry weapons on GW’s campus, or off the grounds when chasing a suspect, under city law. GW officials, including UPD Chief Kevin Hay, have repeatedly declined to discuss why officers skirted D.C. law. Mendelson, the District’s second-most powerful representative, said he would support the legislation but Council members would first have to determine the limit of that authority with Metropolitan Police Department. “If a crime occurs, particularly a violent crime such as assault or robbery, but also something minor like disturbing the peace, it makes no sense to preclude campus police from being able to respond, especially if it is across the street,” Mendelson wrote in an email. Officials said GW and neighboring universities have not yet reached a consensus or crafted a specific proposal. Multiple Council members and spokespeople for Howard, Catholic and Gallaudet universities declined to comment on the potential legislation. But Georgetown spokeswoman Rachel Pugh confirmed the university’s backing. “If we can get all other universities to join forces with us, we think we have a decent chance,” Hay said at a community meeting last month. The proposal, however, has critics. Students and neighbors, including Advisory Neighborhood Council commissioner Asher Corson, have blasted GW for lack of communication as they shape the proposal. Corson said he wasn’t completely opposed to an expansion of power for UPD, but he wants the process to be more transparent and take community feedback into account. “If we could create a system where there is some sort of accountability like real police, I wouldn’t be opposed to expanding authority,” Corson said. The ANC has invited neighbors, students and administrators to an open forum Sept. 10 at the School Without Walls to address the off-campus policing policy. Corson invited the American Civil Liberties Union, the nation’s leading civil rights group, because he said the University’s police should not have more power unless it releases its crime records to the public. When UPD responds to an incident, it does not release a record of the case – unlike municipal police departments, including MPD, which keep reports that can be accessed by the public. Franke LoMonte, the executive director of the Student Press Law Center, said he would consider introducing an amendment that would designate incident reports, whether prepared by officers at private or public institutions, as matters of public record. “I feel pretty strongly that if they’re going to be running around in residential neighborhoods in the District of Columbia, doing work that would otherwise be done by D.C. city police, they should be held to the same disclosure policies as the city police,” LoMonte said. 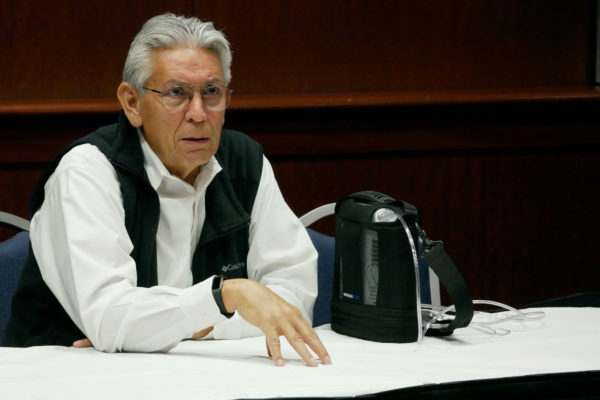 Fritz Mulhauser, an attorney with the ACLU, said the organization would carefully review the proposal and raise questions about campus police exerting their authority beyond campus. “But once they are empowered to roam the streets, first how can campus police, out in the community, tell who is a student over whom they have authority?” Mulhauser said. At an August meeting with Foggy Bottom neighbors, the University’s top officials announced plans to work with other D.C. colleges to craft the legislation so UPD officers could patrol off campus on weekend nights when neighbors have the most noise complaints. Senior Associate Vice President for Safety and Security Darrell Darnell said then UPD officers would refer to a directory of students’ off-campus addresses after GW announced plans to ensure students register their D.C. addresses with the University. “It would give us the authority if we knocked on the door, we could ask for GWorld cards and who’s in there just like we do in our residence halls right now. And they would have to produce it,” Darnell said. ANC commissioner and GW senior Patrick Kennedy said conversations about expanding jurisdiction did not begin until MPD clarified university police boundaries in the spring, when UPD discovered it was operating outside its jurisdiction. “I think other universities were operating like GW was until April – a see no evil, hear no evil type thing. GW had set a precedent that police power extended to adjacent areas. So it wasn’t until this was dispelled that the conversations began to take place,” Kennedy said. But the chief of police for the University of District of Columbia said the proposal was spearheaded by the Consortium of Universities of the Washington Metropolitan Area – which links the city’s 13 universities and one college. “This affects all of the [police departments] in DC, but it has not gathered much speed so far. GW is not doing this, the Consortium is doing this,” the chief, Michael Rogers, wrote in an email. D.C. Council members have also hesitated to weigh in before more details emerge. Jack Evans, whose constituency includes Foggy Bottom and who typically introduces GW-related bills, said he would first talk with students before he advocated for any legislation. 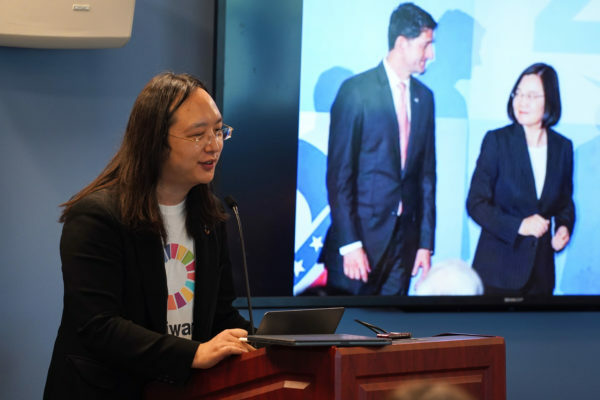 This story was updated on Aug. 29 to clarify that GW hopes the proposal would be taken up by the D.C. Council this fall, not necessarily that it is set to.